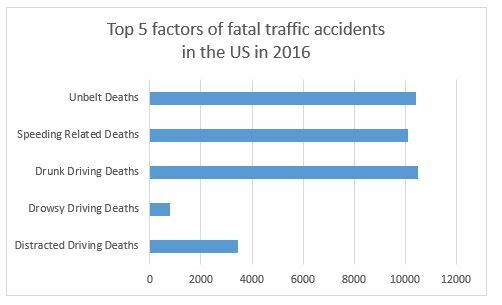 37,461 people died in car accidents in the US last year according to data released last week by the US Department of Transportation’s National Traffic Safety Administration. This number is the highest since 2007. Traffic fatalities rose 5.6% compared to 2015. This increase follows another 8.4% rise from 2014 to 2015. Speeding, drunk driving and the lack of seat belts were the most common factors in the deadly accidents. Car accident deaths related to distracted driving and drowsy driving recorded a decline.